I "May" be jumping the gun by a few months, but I'm ready to wave the checkered flag for the end of Winter and move on to Spring. April showers bring May flowers in every hue, but May in central Indiana also brings the roar of race cars and an abundance of black and white wearables. May 29, 2016 will be the landmark 100th running of the Indianapolis 500, and you can bet I'll be in attendance (along with more than two hundred thousand or so fellow race fans - it's not called the Greatest Spectacle in Racing for nothing!) This year's spectacle promises to be more fantastic than ever: the Indianapolis Motor Speedway and Verizon IndyCar Series are planning a celebration of some sort every day for the 100 days leading up to the centennial race, starting tonight with Midnight on the Yard of Bricks. This free event starts at 9 pm and ends just past midnight, officially kicking off "100 Days of the Indy 500." 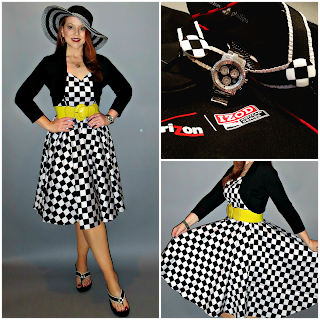 Because I'm a sucker for a theme and the checkered flag is such an iconic Indy 500 symbol, I usually wear a fair amount of black and white in May. I'm not alone; it's a tradition embraced by race fans all over the city. With 100 laps around the sun to celebrate this year's 100th race, I'm getting an early start with a black TAG Heuer (the official timepiece of the Indianapolis 500) and a crocheted Byron Lars Beauty Mark dress from Indianapolis based Enza's Boutique (which always has unique and uber-stylish black and white offerings for the month of May). 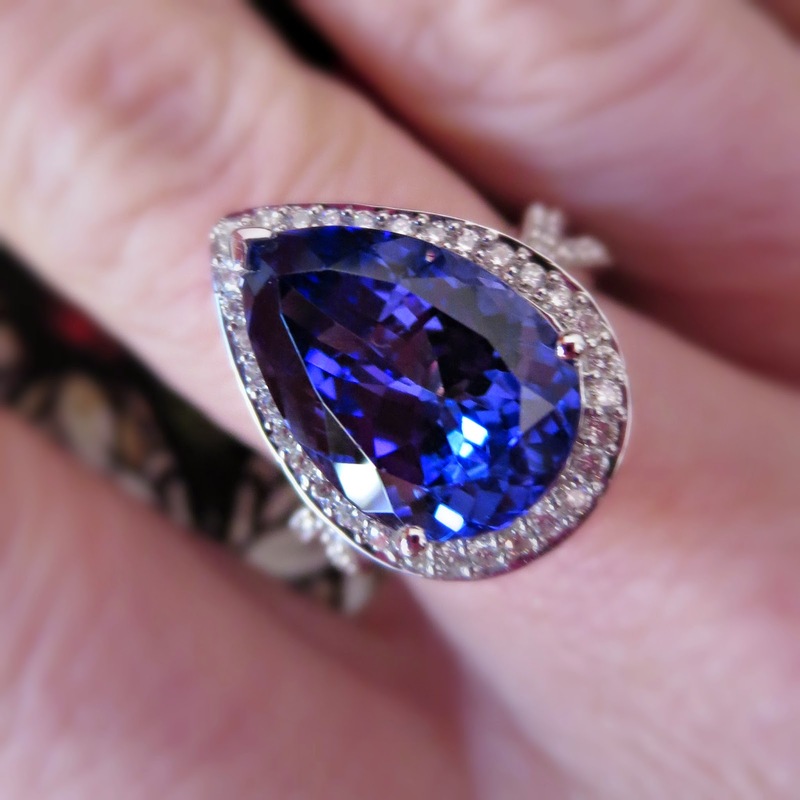 Of course, I wouldn't be me without a little pop of color somewhere: a deep blue tanzanite ring and a pop of red on my heels stands out against the neutral color palette. Ladies and gentelmen, start your engines!